End to end operation of Exclusive Brand Outlet & Large Format Store. Day to day operation and revenue generate. Candidates should be Graduate. MBA in Retail Management preferred. Age should be within 25 to 30 years. Candidates should have good interpersonal skills and ready to meet all challenges. Min 5 yrs in retail experience preferred. To apply please email us your profile with the Job Code at ecommhr@gmail.com & ecommhr1@gmail.com. Ecomm is a Talent Search Firm. We recruit only for our Corporate clients. We do not charge fees from the candidates. 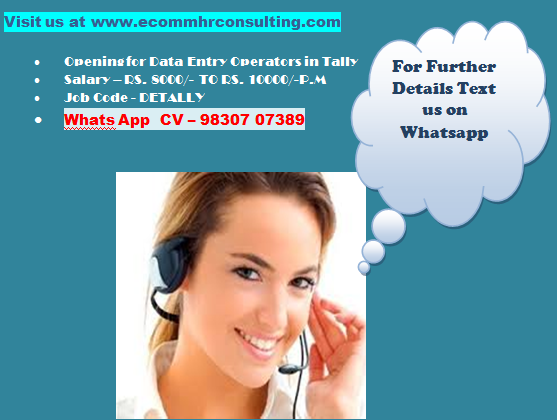 FOR UNLIMITED JOB OFFERS SUBSCRIBE WITH US.